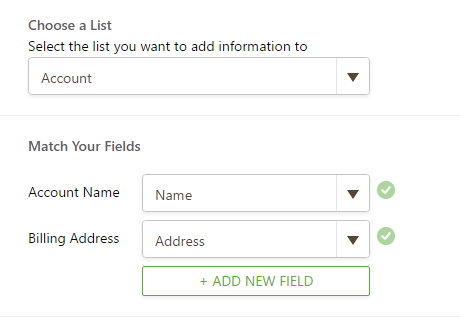 SalesForce integration gives you the option to either discard a duplicate entry or to update the existing record with new values. By default, the integration uses SalesForce’s standard matching rules to identify whether a record already exists in your SalesForce account. If upon creation of a record SalesForce returns a duplicate error, JotForm will try to find the original record and update it with the new values (if found). 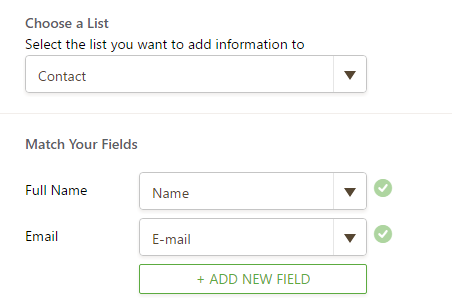 It is imperative that your form contains these fields and that they are matched to corresponding SalesForce fields. I have followed all these steps and I continue to have duplicate contacts in Salesforce with every Jotform entry. Please advise. I still cannot get this to work. I have it exactly mapped with a simple Name to Account Name and Address to Billing Address. I am trying to update two fields on my account object instance with no luck.